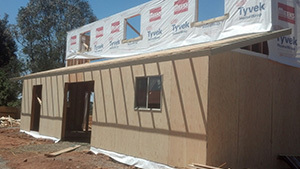 View the home remodeling pictures of projects by Small Town Construction in Granite Bay, CA. We offer residential remodeling and room additions for greater comfort of home owners. From bedroom additions to garage additions, we do it all. Our kitchen and bathroom remodeling services reflect our superior craftsmanship. We are in the process of compiling interior remodeling pictures. Please check back later. Are you looking for a reliable general contractor? Do you need residential or commercial remodeling services? Then read testimonials of satisfied customers of Small Town Construction.